Osteoarchaeologists study human bones discovered during an excavation. Osteoarchaeologists look at the archaeological context or the type of grave, the position of the body, and any associated artefacts or grave goods. They analyse bones and try to work out whether skeletons are male or female, and they can even work out how old a person was when they died. 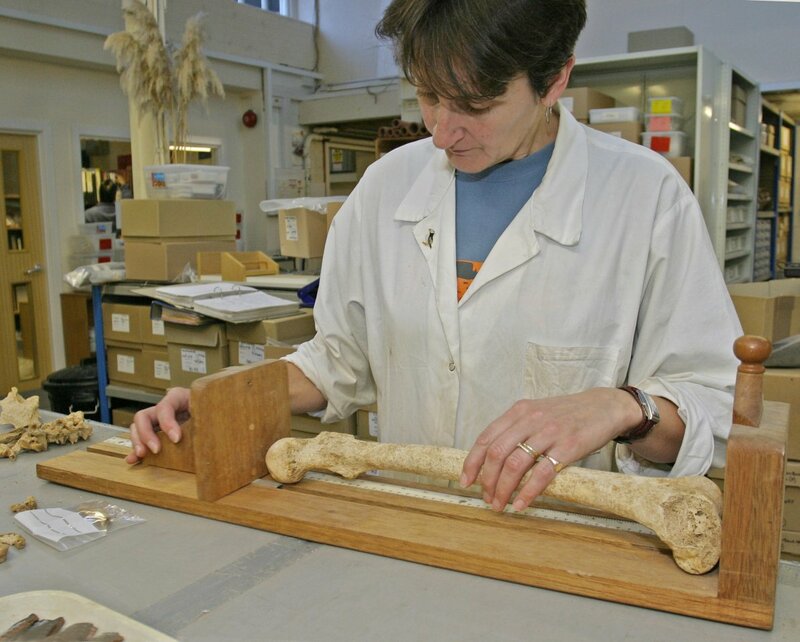 Osteoarchaeologists also look at how disease, diet, and trauma affect bones.